Best Home & Property Services is your local Basement Systems dealer in the North Carolina & South Carolina area. 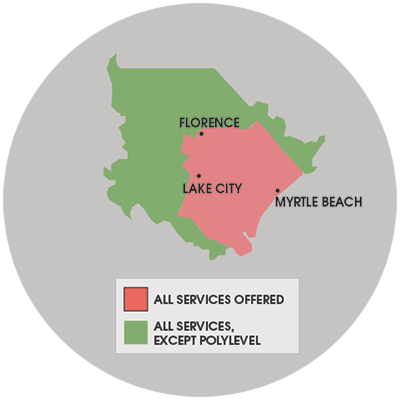 We serve Florence, Myrtle Beach, Sumter, and many outlying areas, including Aynor, Calabash, Fair Bluff, Gaddysville, North Hartsville, Sardinia, St. Matthews, Tradesville, Wallace, and nearby. See our full service area. As basement waterproofers and crawl space repair experts, we are locally owned and operated contractors who have been in business since 1962. As an authorized Basement Systems dealer, we have exclusive access to a wide variety of waterproofing products that have been used in over 200,000 basements since 1987. During your Free Estimate, our waterproofing specialist will be available to answer any questions you may have about your wet basement or crawl space. At Best Home & Property Services, we offer free, no-obligation waterproofing quotes to homeowners within our service area. 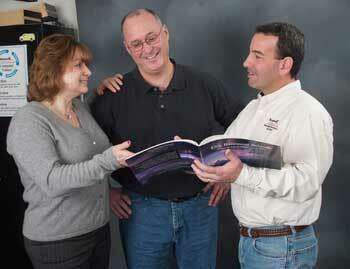 Our FREE Written Quote: We provide our customers with a free, no-obligation written quote at the end of each visit. Our prices are firm -- there will be no hidden expenses later on, and there'll be no high-pressure sales techniques.